Learn what’ involved before adding lucrative lash extensions to your menu. Most women won’t leave the house without a coat of mascara. So, it’s no surprise that if your salon introduces them to lash extensions, they tend to become hooked—so much so that lash client retention rates can be anywhere from 80 to 100 percent, generating another constant stream of cash flow. Moreover, this luxury service garners luxury prices: According to a 2017 industry survey conducted by Glad Lash, 31 percent of lash artists charge between $121 and $180 for a full set of lashes, while the average charge for a lash fill (performed every two to three weeks) ranges from $45 to $60. “Every client who continues with lashes can spend more than $1,600 annually on the service at your salon,” says Maryann Matykowski, Glad Lash training and education coordinator and owner of Soft Whisper Salon in Surprise, Arizona. Sounds like a service worth offering at your nail salon, right? Before you jump into lashing, however, you’ll need to follow these seven steps to set your salon up for lashing success. Then, find out whether your state requires licensing. “Before adding any service, check with your state board’s regulations regarding the scope of practice for your license type. Are eyelash extensions included within it?” says Soo-Jin Yang, owner of Illumino Lashes in Oakland, California. Some states require a cosmetology or esthetician license to perform lash extension services while others don’t. and then sit in on the class. “Many times, the owners aren’t cosmetologists or estheticians and aren’t qualified to work on live models,” explains Matykowski. But sitting in on the class, taking notes and listening to the safety and sanitation guidelines makes you more proactive and better able to answer basic questions that clients may have, she says. Not only will you become better versed at speaking lash lingo fluently, says Allen, but you’ll also gain an understanding of the physical toll this service can take on your team of artists—an important thing for managers to be aware of. When your lash business is up and running, lash pros recommend investing in continuing education at least once a year for both you and your staff and attending lash- focused conferences to keep your business at the forefront. 3) Staff Up: Your lash business will only be as strong as your staff; look for lash artists who are not only licensed (according to your state’s guidelines), certified and insured to work around the delicate eye area, but who also prize lash integrity over speed. 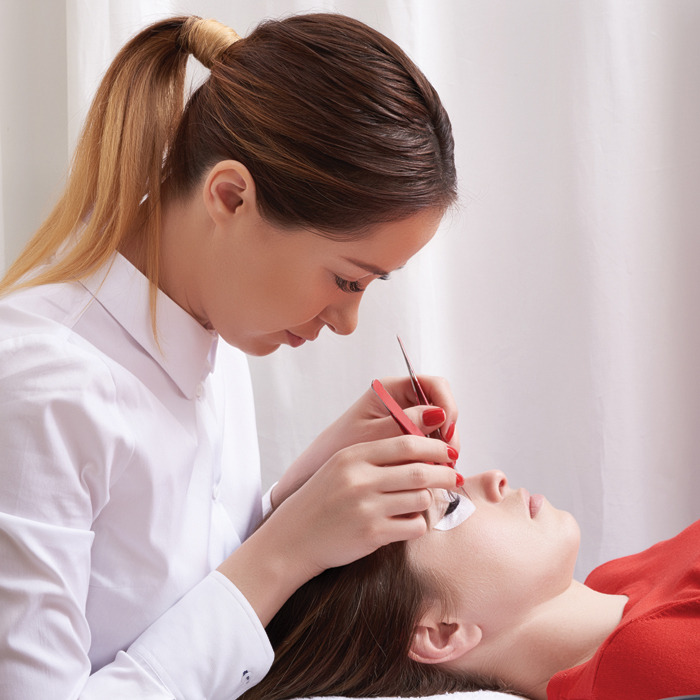 “I would rather hire someone who shows a deep concern for the clients and their natural lashes than someone who works quickly, but doesn’t care about the integrity of the lash service,” says Yang. Allen recommends skimming lash411.info for possible candidates or reaching out to your lash brand of choice to find a brand-certified artist in your area. To check up on a potential employee’s qualifications, Matykowski asks the interviewee to provide a certificate of completion from a reputable lash training company, proof of liability insurance and a list of references. If the lash artist isn’t insured, know that you’ll be responsible for carrying the adequate amount of liability insurance to cover the lash services performed by the artist. Additionally, Matykowski suggests performing a quick online search to ensure that the artist has a current license and checking with the state board for any outstanding issues on the person’s record. 4) Price Services Appropriately: First, understand that lash services are not discount services. Matykowski notes that although certain clients view nail services as discount services, you need to market lashes as a luxury service. “Nail salons should price lash services within the industry average (between $81 and $120 for a full set) depending on their area,” says Matykowski. Then, once your business is thriving, adjust your prices as you see fit. 5) Create Your Space: Worried about how much space you need to set aside for lashing? Don’t be. All you need is an adequate area with good lighting and proper ventilation that can house your supply trolley, stool, lash bed and a little extra space to move around, says Yang. You should, however, prioritize quiet and privacy; the louder atmosphere of a nail salon doesn’t work for lash clients, who often fall asleep in your chair. If you don’t have a separate room to lash in, create separation with a room divider. Also, be sure to modify temperature and humidity using a thermo-hygrometer to help with proper lash retention, not to mention client comfort, says Allen. When considering retail for lash services, aftercare (think: at-home lash cleanser, spoolie brushes and extension-safe mascara and eyeliner) can score you extra income, and Allen believes that a successful lash provider should at least stock lash cleanser to help ensure clients properly care for their lashes between fills. 7) Get the Word Out: Now that you’re ready to lash, you’ll need to market your new services. “My best trick was actually offering my lash services to fellow manicurists. They wore my lash extensions and their clients would instantly notice and ask who did them,” says Yang. 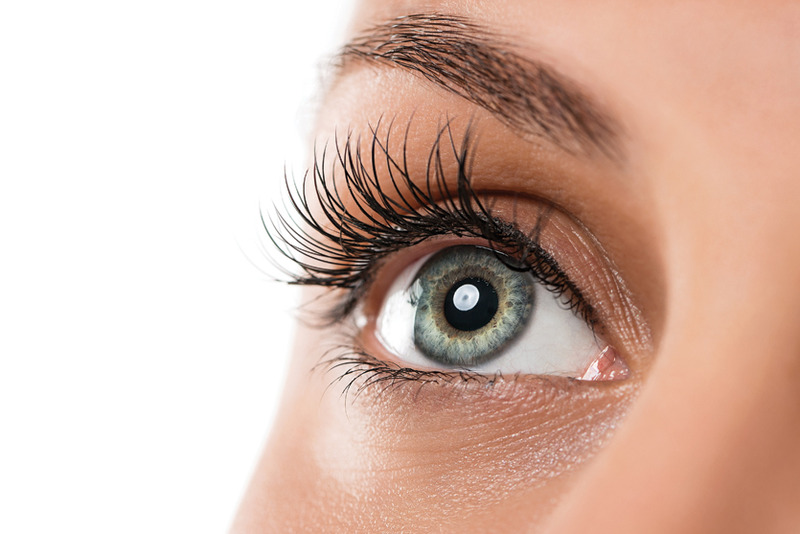 Or, ask your clients if they would be interested in getting a partial set of eyelash extensions. “This strategy knocks out three birds with one stone: It allows you to practice if you’re still a newbie, give patch tests and check for allergies, and get clients hooked on lashes and coming back for a full set,” says Yang. And don’t forget: Because your existing nail clients already drop in for fills every two to three weeks, Matykowski advises taking advantage of this opportunity by pre-booking nail and lash fills back to back. Just remember: Once your current clientele is satisfied, they’ll spread the word for you. “They love you for a reason already; now you’ve given them another one,” Allen says.